The Region D SORH meeting was held June 28-30 in Oklahoma City, Oklahoma. The meeting was attended by 32 participants, representing every state in the region. The Region D Planning Committee put together a fantastic agenda with speakers from the Federal Office of Rural Health Policy, CMS, Maine Rural Health Research Center, NORC, the Heartland Telehealth Resource Center and presentations on data use and strategies to address rural opioid issues. If you were unable to attend the Region D meeting and would like to learn more about Project ECHO, check out the presentation here. The meeting included a unique tour of the mobile telehealth unit from Oklahoma State University. All meeting presentations can be found on the NOSORH website. Thank you to the Oklahoma State Office of Rural Health for hosting! Corie Kaiser is the Director of the Oklahoma Office of Rural Health. She joined the Office of Rural Health in 2005. In that time, she has maintained the office’s community engagement programs as well as coordinated and maintained quality and performance improvement programs to assist critical access hospitals. 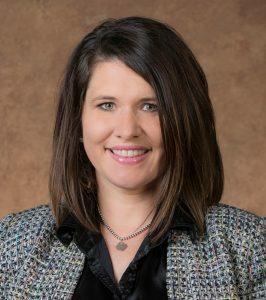 She is a member of the National Rural Health Association and serves on the board of the National Organization of State Offices of Rural Health. Corie is a native rural Oklahoman and currently lives in Edmond, OK with her husband and two sons. As of July 1, Oklahoma now has a new QIO as a result of the restructuring. We now have to work with the Texas QIO. We need to form new partnerships again and figure out everyone’s role. In addition, we are working to implement Phase 3 of MBQIP for 34 CAHs. We are working with another school that has a Pharmacy school attached to it for pharmacy students to review orders for Phase 3. This is an exciting prospect in some very challenging times. I grew up in a small, rural town and still have family who live there. My grandma taught me to be a true servant. I love helping people and the work we do at the SORH really allows me to help “my own” people throughout the state. We really have the flexibility to take our programs where we want and to make the best of our program dollars. We always have the future in mind and are always trying to make things better. I believe you always need to be willing to ask for help. I encourage the hospitals to do this too. We may not always have the answers, but we can find someone who does. I have learned to say “I don’t know, let me get back with you,” and then I always make sure to get back to them.